Create a new car classification similar to current classifications for mopeds that are designed around limited engine size and for use only on surface streets (not allowed on interstates), and with fewer government regulations. This new car classification would lower the entry cost of startup companies to produce alternative fuel vehicles and would create a new market place more suitable for the current technology. 1. Because the cars would not be allowed on interstates the government regulations on the new classification could be reduced. This would reduce cost barriers that make it prohibitive for new, American based companies to form. 2. 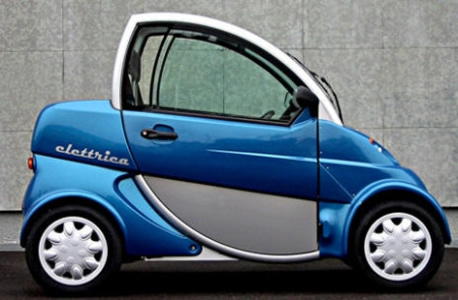 Less government regulations, plus a set engine size would reduce the weight of the car and improve range which is a problem for current electric vehicles that are forced to compete in the current car classification. 3. Reduced cost will reduce retail price and increase market potential for the cars. 4. A “city” car classification is in line with current trends of people (especially younger professionals and many empty nesters) moving out of the suburbs and into cities. 5. Will allow for greater competition, private investment and job growth and will excel the pace of innovation in the market segment. 6. Will increase the awareness of the need to enforce traffic laws in our neighborhoods and commercial districts and will make it safer for other user groups (cyclist, pedestrians, user’s of public transportation) and thereby increase the number of users in these groups. Also, a new car classification (and accompanying driver license classifications) would allow law enforcement the ability to reduce the license of dangerous drivers. There currently is no good system to enforce our traffic laws and this is why our roads have become so dangerous. In short, the major automakers have always had an unfair advantage with a one car classification system and it has hurt innovation and has created a monopoly on our roads that has made our neighborhoods and commercial districts unsafe for other user groups. The government can invest in research of new technologies, but it does not have the money to fund the multitude of competing ideas that drives the innovation of new technologies. However, through changes in laws/regulations, like creating a new “city” car classification, it is possible for the government to create the market conditions where free market forces can generate the private sector investments needed to drive innovation. This is an appropriate role of government, and rather than the government attempting to fund innovation it should concentrate on finding ways through changes in laws (and user taxes – not taxes based on income) to create market conditions that will drive the innovation of new green technologies.